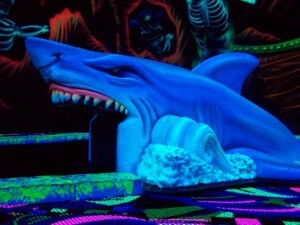 This incredible underwater pirate themed black light mini golf would be a great addition to you FEC. The original build out on course was over $100,000 new – you can have it now for only $25k. Excellent condition and ready for you to start or expand you business. Come check out this Used Glow Golf attraction and see what a good deal it is. These guys are great &it was worth going thru them as a broker. They made deal happen & went above & beyond! Thanks Chris & Dave..Ill b back!